Puli Milagai is a spicy and tangy side dish served with idly, dosa and curd rice. 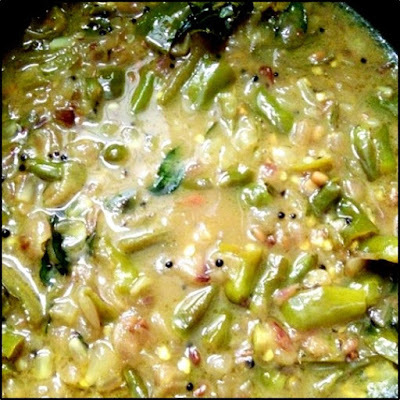 This is an interesting and tasty side dish or condiment from Tirunelveli. 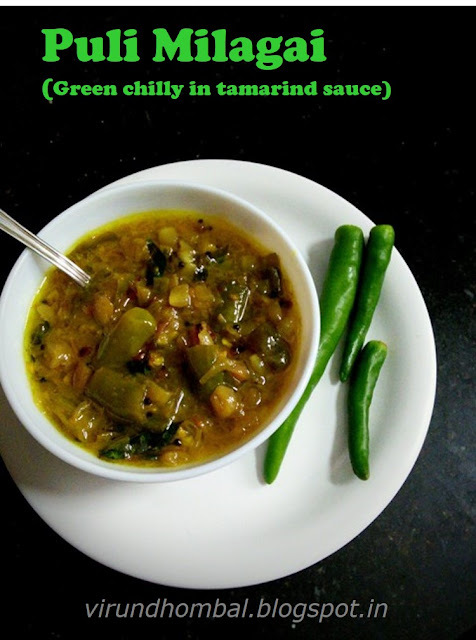 For this recipe use medium hot chillies so that after cooking in tamarind extract the heat reduces a bit. 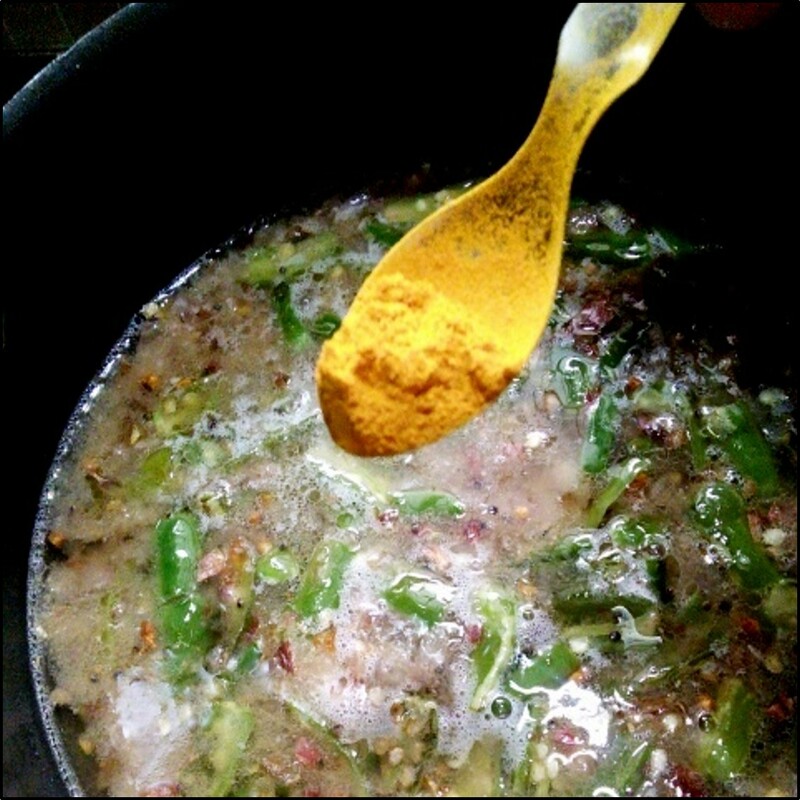 My mother recommends to prepare by sauteing the green chillies with little oil and grind it without any water and then add this green paste to the tamarind mixture. 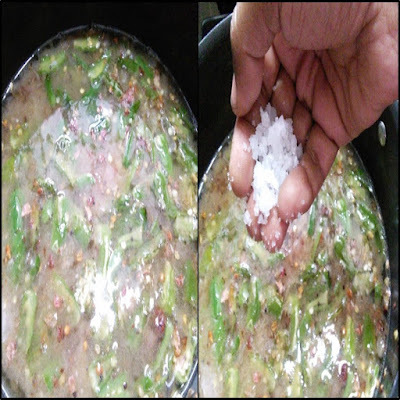 This method is also nice and you will get the consistency like thokku. The tangy flavour of the tamarind is blended well with the spicy green chillies and a little sweetness from the jaggery. Enjoy this tangy and spicy puli milagi with your everyday meal. 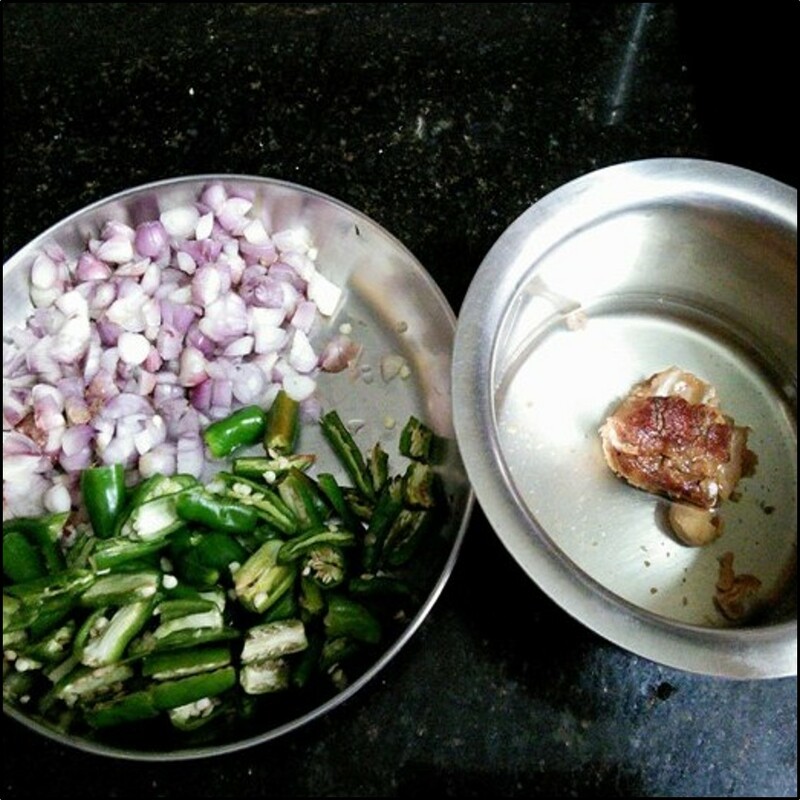 Now let's see how to prepare this Puli milagai with step by step photos. 1. Soak the tamarind in hot water for 15 minutes. Peel the onions and chop it finely. Slit the green chillies and cut it into halves. Extract the tamarind juice with 1 cup of water. 2. Heat oil in a kadai and add the fenugreek. 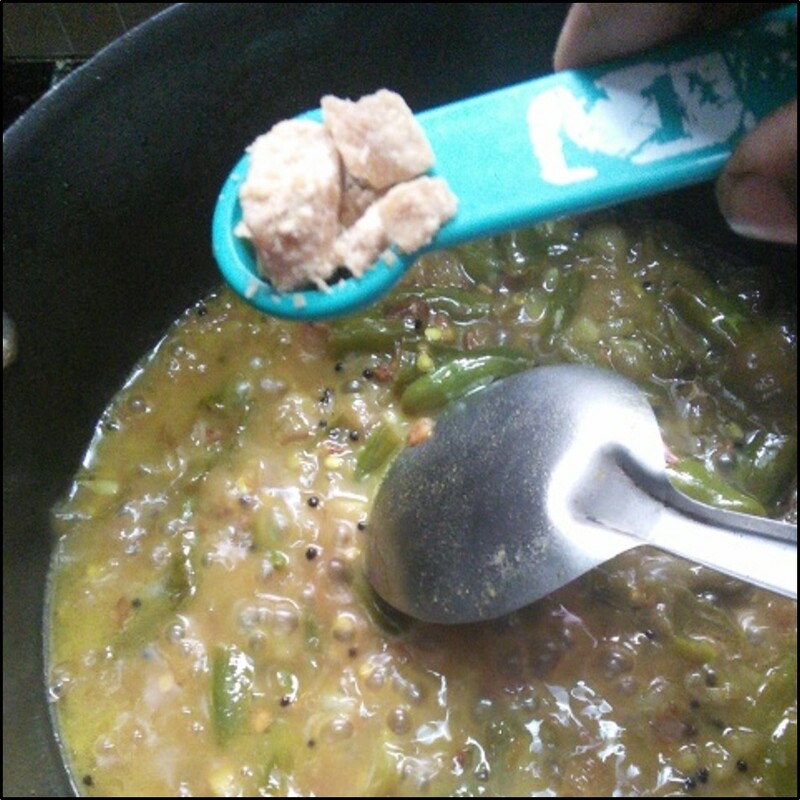 As soon as they start popping, add the mustard and urid dal. 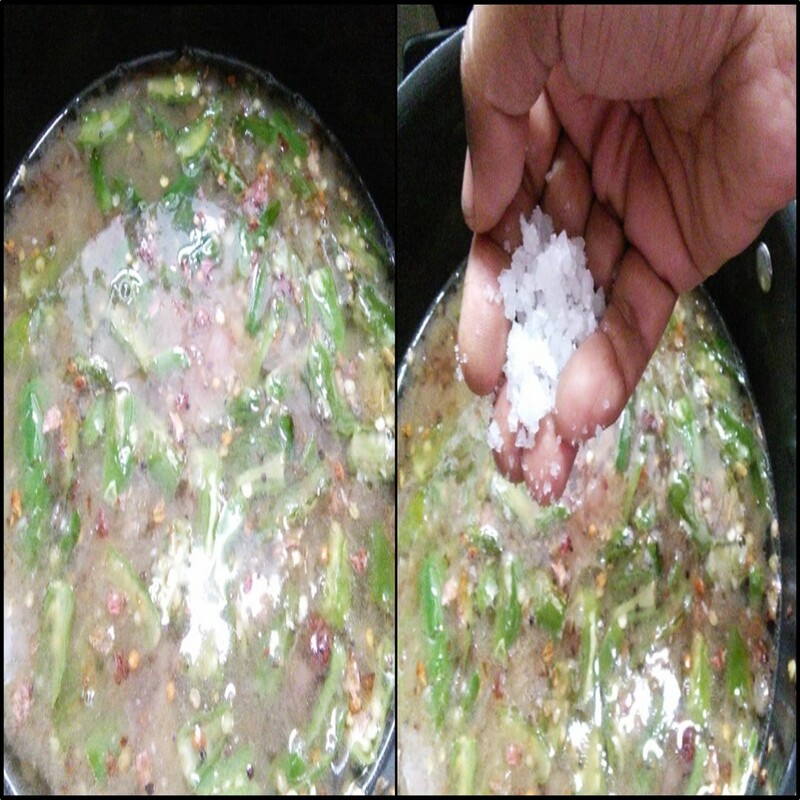 Then add the chopped onions and green chillies. 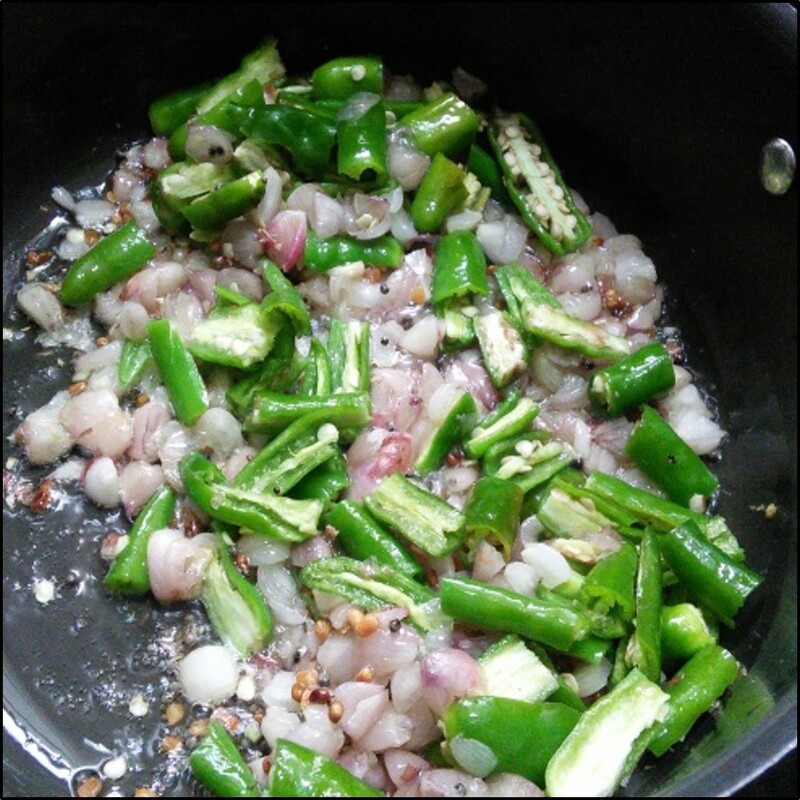 Saute it well in medium flame until the green chillies and onions turn light golden brown. 3. Now add the tamarind extract and required salt. 4. Add the turmeric powder and mix well and then leave for 10 minutes on a low flame. 5. 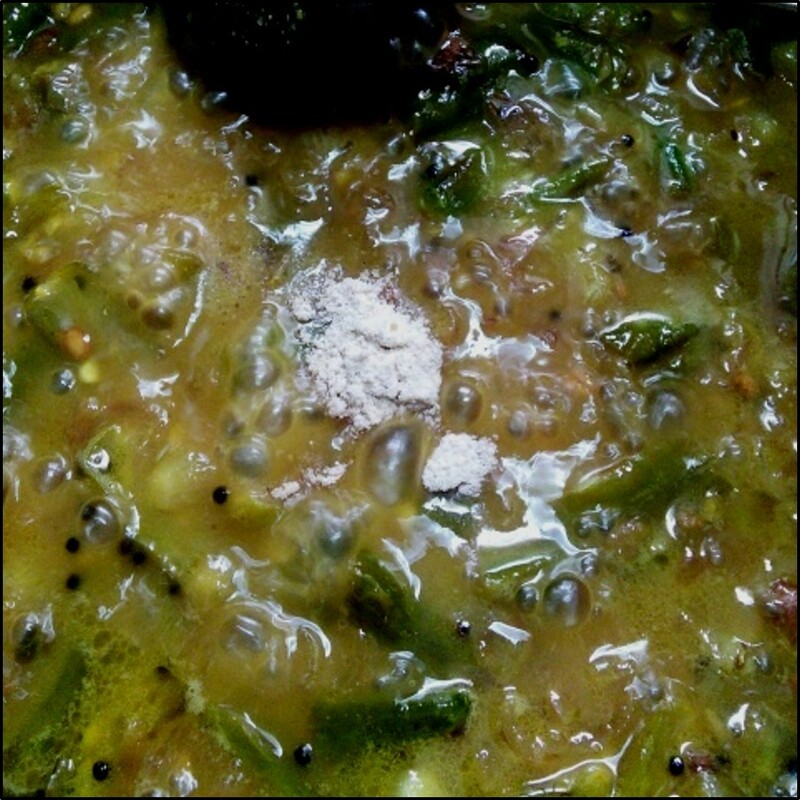 When it gets slightly thick, add the curry leaves, asafoetida powder. 6. Mix them well and add the jaggery powder. 7. The puli milagai is done when the green chillies are well cooked in the tamarind sauce and the oil starts to separate from the sauce. Fantastic recipe. So well you have given the recipe and method of preparation. Thank you for sharing this sweet recipe. I really loved your recipe and the way of method you used in preparing the Puli Milagai.Each Indian citizen must have a pancard.So there are different ways to apply for a card refer more pan card online application one of the easy way to panseva is through online,which is one of the easiest method.Looking for a new pan card then apply here in a easiest step.